Pam Jensen stopped by and dropped off Tanner crab (Chionoecetes bairdi) hemolymph samples (~300) stored in RNA Later (Ambion). 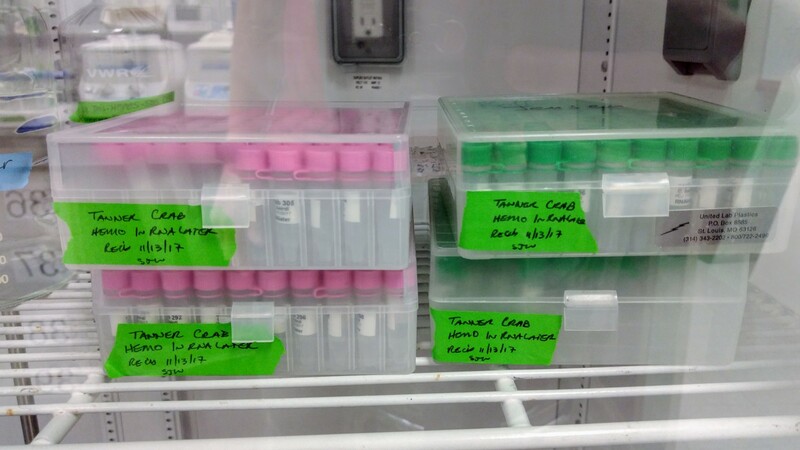 Samples were stored at 4C. 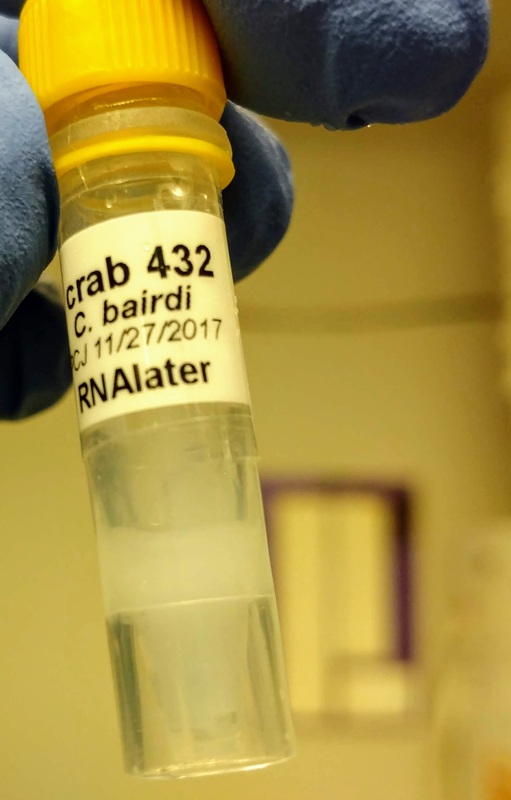 This entry was posted in Samples Received, Tanner Crab RNAseq and tagged Chionoecetes bairdi, hemolymph, RNAlater, tanner crab on 13 November, 2017 by kubu4. 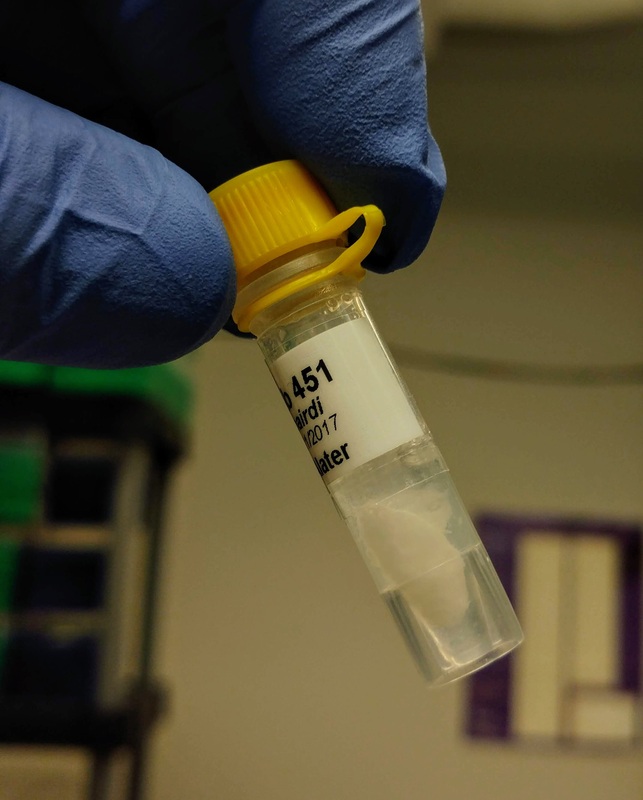 This entry was posted in Miscellaneous and tagged gill, Hard clam, hemolymph, Marine Biological Laboratories, MBL, Mercenaria mercenaria, RNAlater, Rutgers, Scott Lindell on 24 June, 2010 by kubu4. Rec’d package from Rutgers (Emily Pearson) containing two large Ziplock bags on “wet” ice, each of those containing smaller bags with sample tubes in them. One large bag contains gill tissue samples and the other large bag contains hemolymph samples. 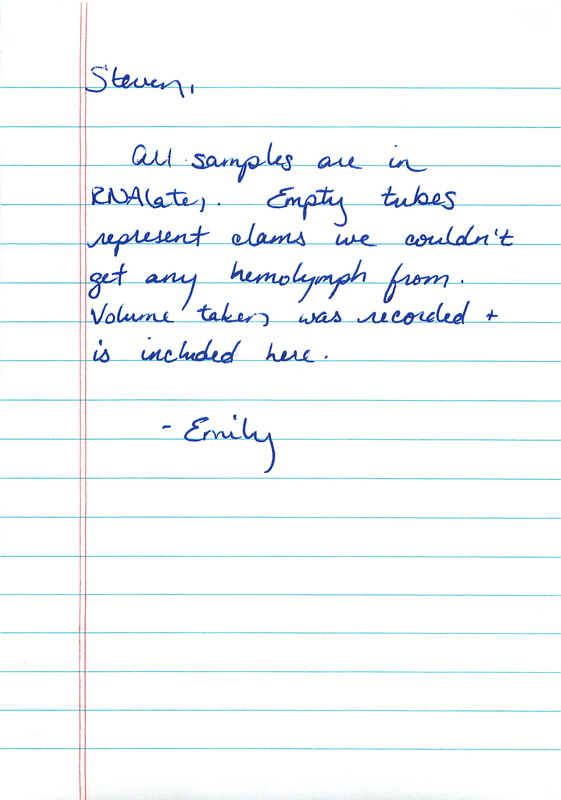 Samples will temporarily be stored @ 4C until they can be catalogued and boxed by Lexie later today. 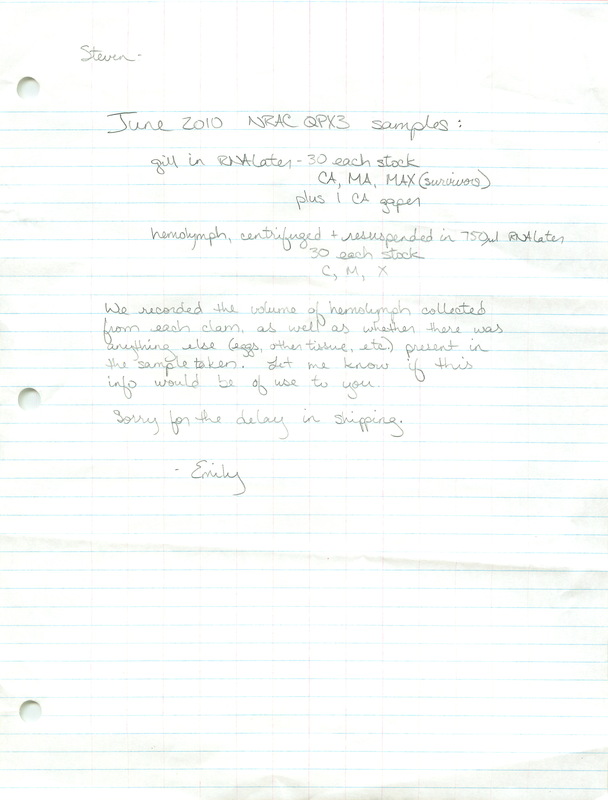 This entry was posted in Miscellaneous and tagged Emily Pearson, gill, Hard clam, hemolymph, Mercenaria mercenaria, package, RNAlater, Rutgers on 5 May, 2010 by kubu4. Bled 7 clams from 20090108 and 20090109. Bled clams using a 23g 1.5 needle on a 3mL syringe. 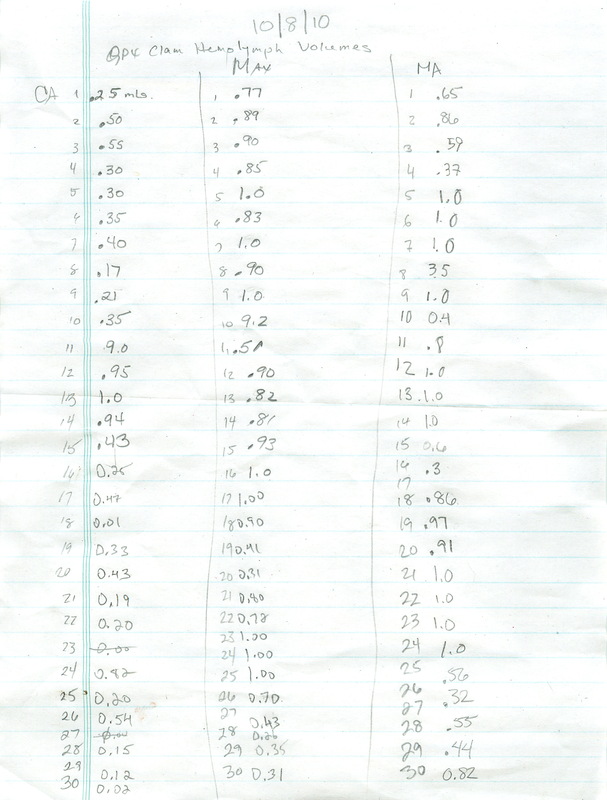 Fluid was gathered and ranged from ~0.4-1.0mL. 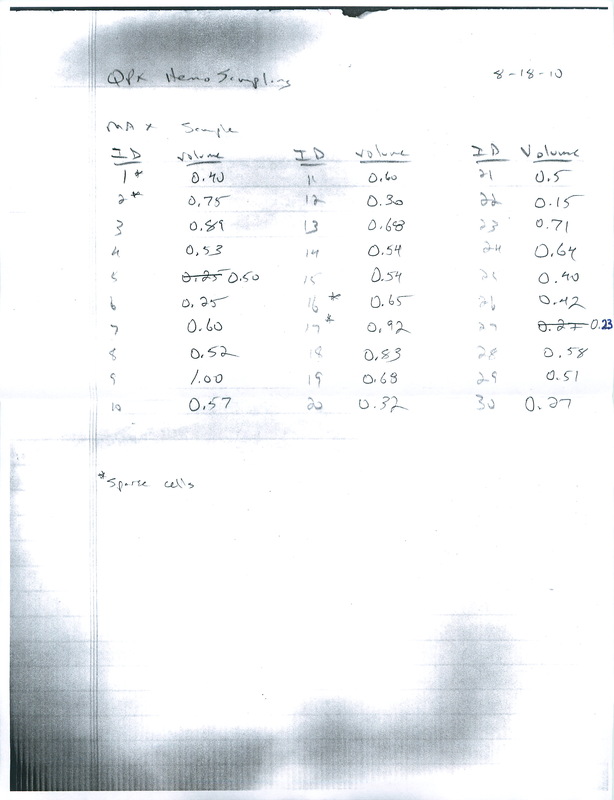 Hemolymph was transferred to individual 1.5mL snap cap tubes and spun @ 100g for 30mins @ 4C. 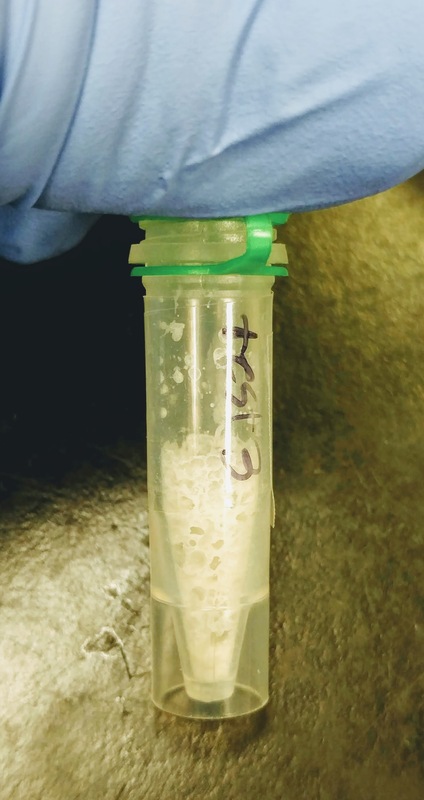 Most of the supe was removed, but left ~100uL in each tube to avoid disturbing any pellet. 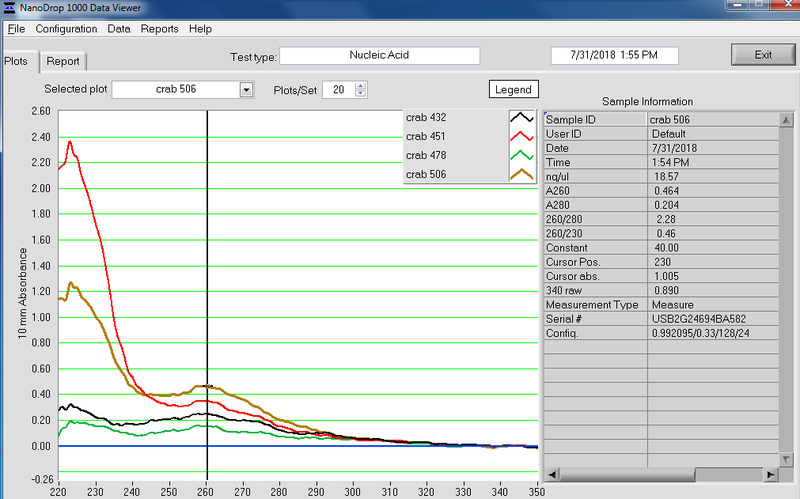 Samples were stored @ -80C in the red box with previous hard clam hemo samples. 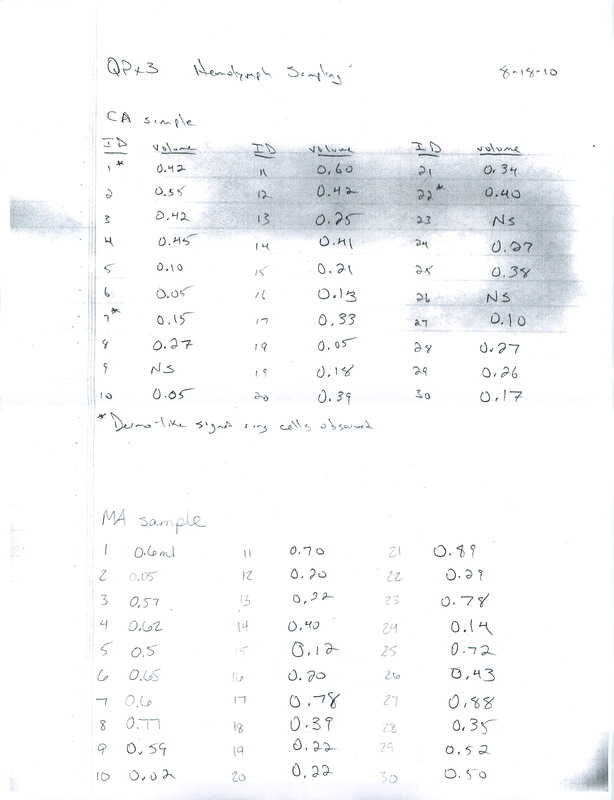 NOTE: One sample was EXTREMELY cloudy. Likely not hemos. This entry was posted in Miscellaneous and tagged bleeding, Hard clam, hemocyte, hemolymph, Mercenaria mercenaria on 14 January, 2009 by kubu4.